Bitmain unveiled a new bitcoin mining facility in the United States on November 16th in the western state of Washington. With 8,100 Antminers and 12 megawatts of power capacity, the farm is carefully designed to optimize the mining process. It’s the latest sign that the company is not letting the crypto bear market slow it down. Bitsonline was present for the official opening of the facility, which is located in East Wenatchee, Washington, about 150 miles (240 kilometers) east of Seattle. 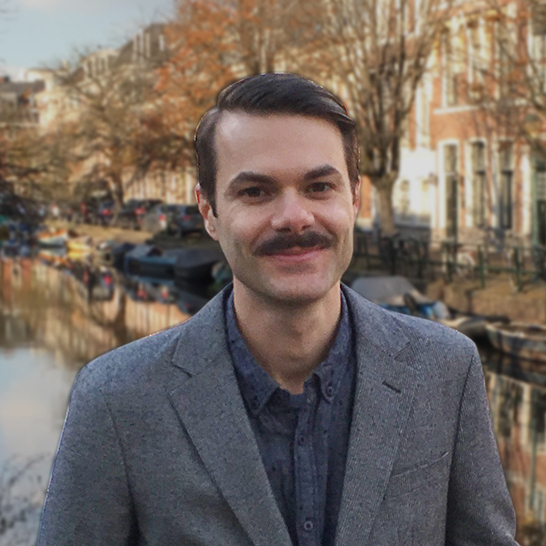 Bitmain’s North American Director of Operations Jeff Stearns was present to announce the opening to a crowd of about 50. 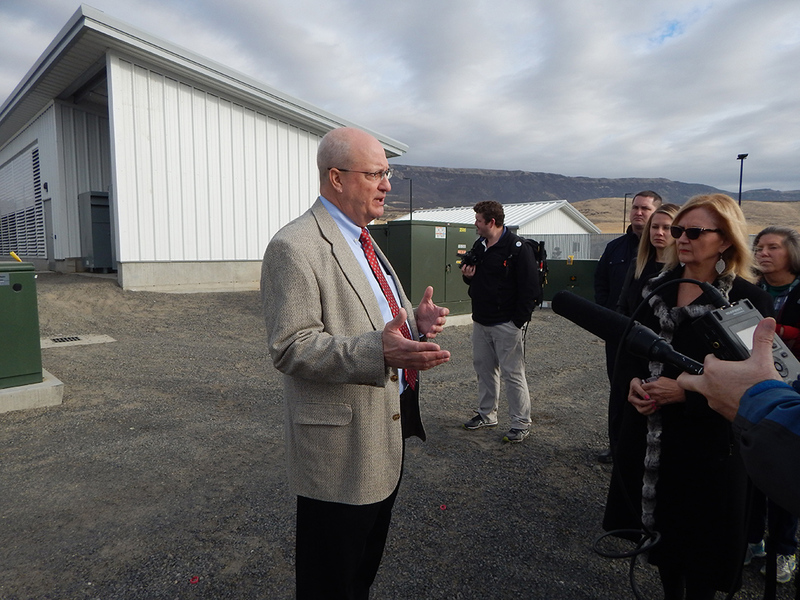 Lisa Parks, the Executive Director of the Port of Douglas County, where East Wenatchee is located, and Evan Wendlandt, a Business Development Manager for the Washington State Department of Commerce, also spoke. Bitmain invested $20 million USD in the facility, which has five buildings each filled with 1,620 Antminer S9s mining bitcoin. The “blockchain data center,” as Bitmain calls it, has a maximum energy usage of 12 megawatts and will employ 20 employees when fully staffed. 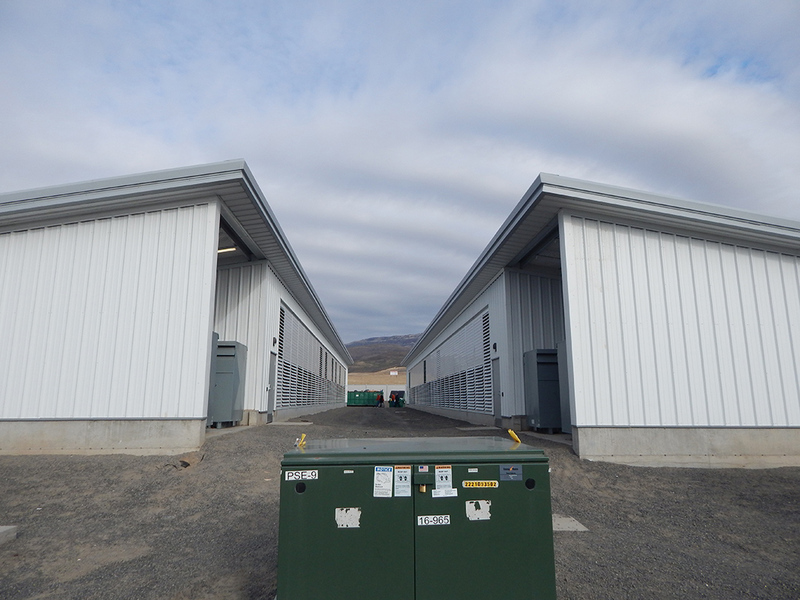 The company built the East Wenatchee facility from the ground up with the assistance of SCJ Alliance, an engineering and design firm which did site, utility, and landscape design for the project. Stearns said it is the most advanced mining farm Bitmain has built yet, and that there are four patents on various aspects of its design. The buildings have a system of adjustable louvres to manipulate their internal temperature, which is important because Antminers produce a significant amount of excess heat. Bitmain manufactures the Antminers, as well as other cryptocurrency mining machines, in China, and is one of the largest companies in the blockchain industry. The buildings have adjustable louvres to set the interior temperature. Bitmain has also built an electronics repair center in nearby Malaga, about seven miles (11 kilometers) from East Wenatchee. It will serve as the firm’s service location for repairing damaged Antminers for western North America. The repair center should save the company the time and expense of shipping the machines back to China to be fixed, which can take up to three months. The center, which is very close to opening if not open already, will be staffed by 20 to 90 additional employees. Stearns said the process of selecting the site began in July of 2017, when Bitmain began working with Wendlandt, the Washington State Department of Commerce official. Among the reasons why the firm chose East Wenatchee was low electricity costs, due to the region’s multiple hydroelectric dams. That renewable energy has made the region in central Washington a hot spot for businesses looking to set up energy-intensive cryptocurrency mining farms. The outside interest has also fueled a local backlash and put pressure on the three public utilities districts (PUDs) which serve the region. 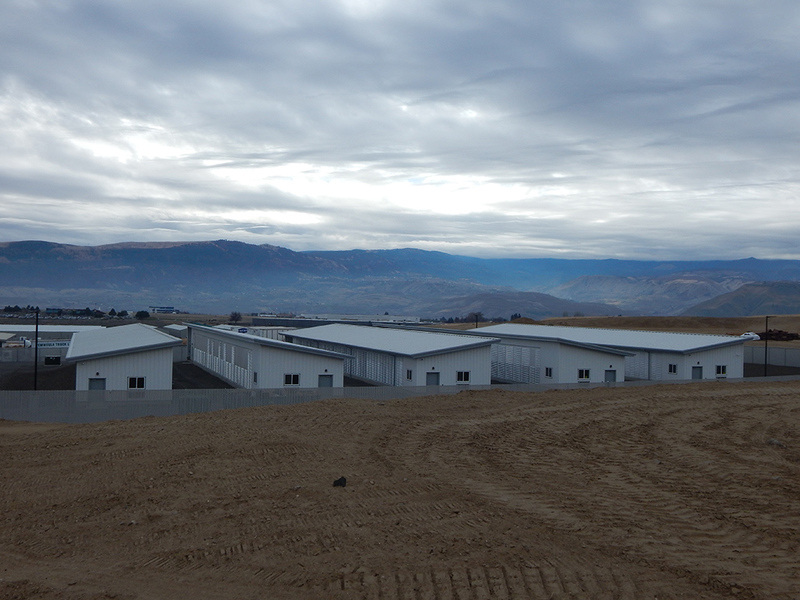 The facility is located in the Wenatchee Valley in central Washington state. Stearns said that Bitmain currently operates four mining facilities in the United States (two in partnership with other firms), and another will open in the Eastern U.S. in January. Beyond that, Stearns said that Bitmain is currently working on plans to open a total of 17 facilities in the U.S., some of which could use over 100 megawatts of electricity. Bitmain has expanded alongside the increase in the value of bitcoin and other cryptocurrencies in recent years and recently filed an application for an initial public offering on the Hong Kong Stock Exchange. But it is also looking beyond the cryptocurrency market, having created a separate division that is working on producing chips that can be used in artificial intelligence applications. This is because the chips that are used to mine bitcoin and other cryptocurrencies, called ASICs, can also be used to process AI algorithms. Stearns said it was possible that one day Bitmain could be running data centers in North America that would be processing data for artificial intelligence applications. Despite the crypto bear market–and recent price crash–Stearns was optimistic about the future of blockchain technology, saying he believed it would see “exponential growth” in the years ahead. The firm recently released a new version of its flagship Antminer, the S15, which Stearns said could eventually be put to use in the East Wenatchee facility. In recent weeks, Bitmain has been at the center of a struggle over the future of Bitcoin Cash (BCH). Bitmain CEO Jihan Wu has chosen to support the Bitcoin ABC implementation as opposed to a rival version called Bitcoin SV. At this point, Bitcoin ABC appears to have won the so-called “hash war” by bringing more hash power to bear on the BCH network than Bitcoin SV supporters, though the conflict may not be over yet. 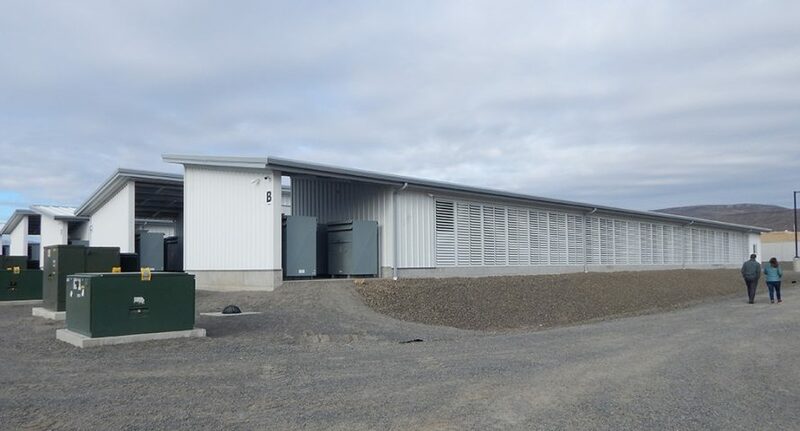 What do you think of Bitmain’s new facility in Washington state? Leave your comments below.